The first Go Series family - the GO-5000 - packs a high performance 5-megapixel CMOS imager into a compact form factor that fits in your fingertips and weighs only 46 grams. 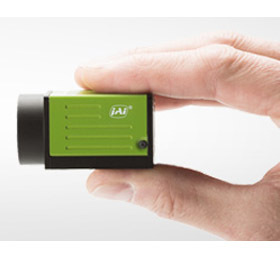 Using a combination of ROI and binning capabilities, this tiny camera can become almost anything you want - from a superfast VGA camera (at nearly 450 fps) to a super sensitive camera using binning* to create 10-micron, or even-20-micron effective pixel sizes. The newest Go Series models add the latest Sony PregiusTM CMOS technology to the mix. The GO-2400, takes advantage of the highly-regarded 2.35-megapixel Sony IMX174 CMOS imager to deliver remarkable sensitivity, with high dynamic range and the lowest noise in its class. While the GO-5100 and GO-5101 incorporate the Sony IMX250 and IMX264 imagers, respectively. Like the GO-5000, these additional Go Series models offer a robust feature set along with an attractive list price.